CHARLOTTE, N.C., Aug. 12, 2015 /3BL Media/ -- In honor of Back-to-School season, Ally Financial today joined with local nonprofit Classroom Central to donate school supplies to all 830 students at Thomasboro Academy inCharlotte, N.C. Each student will receive a package of the school supplies they need for the year. 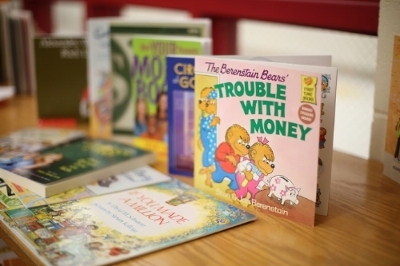 In addition, Ally has also contributed 50 books for the school's library that are focused on various financial literacy concepts and span all grade levels from pre-kindergarten through eighth grade. "A successful school year starts with having the right tools, and Ally is honored to be supporting the students at Thomasboro Academy with the supplies that are needed at each grade level and, additionally, contributing a selection of books to the library aimed at advancing financial education from an early age. These books will be enjoyed by even more students for years to come," said Gina Proia, Ally chief communications officer and head of corporate citizenship. "We are pleased to partner with Classroom Central to support these students and build upon our three year relationship of supporting schools in the Charlotte area." "Classroom Central is glad to have Ally's ongoing support as we strive to provide the necessary tools and supplies needed to foster education and learning in the Charlotte area," said Curt Walton, interim executive director at Classroom Central. "We hope this donation builds excitement for the students as they start the year, and helps them understand that there is a strong community here in Charlotte that wants to help them learn, grow and achieve success." The school supply donation to Thomasboro Academy supports Ally's overall commitment to advancing financial literacy and education. Ally has worked with Classroom Central since 2012 to support Charlotte-area schools through donations, school supply drives and volunteerism. Ally also offers free information for consumers nationwide on topics like budgeting, saving, auto financing, and banking and investing through its Wallet Wisefinancial literacy program. Classroom Central equips students living in poverty to effectively learn by collecting and distributing free school supplies. 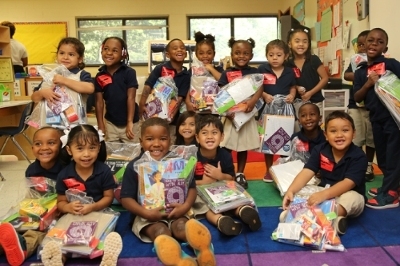 Since its inception in 2002, Classroom Central has distributed over $45 million in school supplies. Classroom Central currently serves over 100,000 students in need in over 200 schools in six districts: Charlotte-Mecklenburg, Gaston, Union, City of Kannapolis, Iredell-Statesville, and Lancaster, SC. For more information, visit http://www.classroomcentral.org.